So now you’ve built all modules and hopefully verified that they work as they should. It’s time to wrap it up and solder in the jacks, sliders and switches. 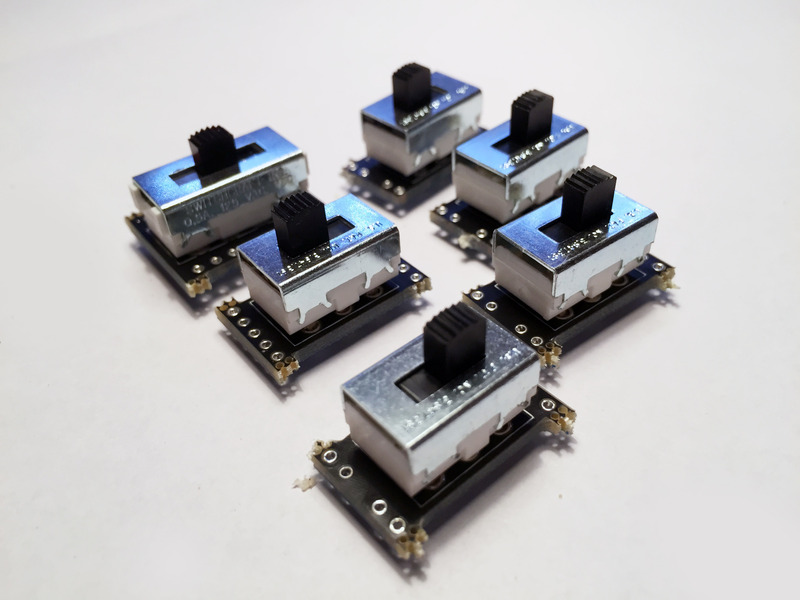 We’ll start with the LED-drivers. 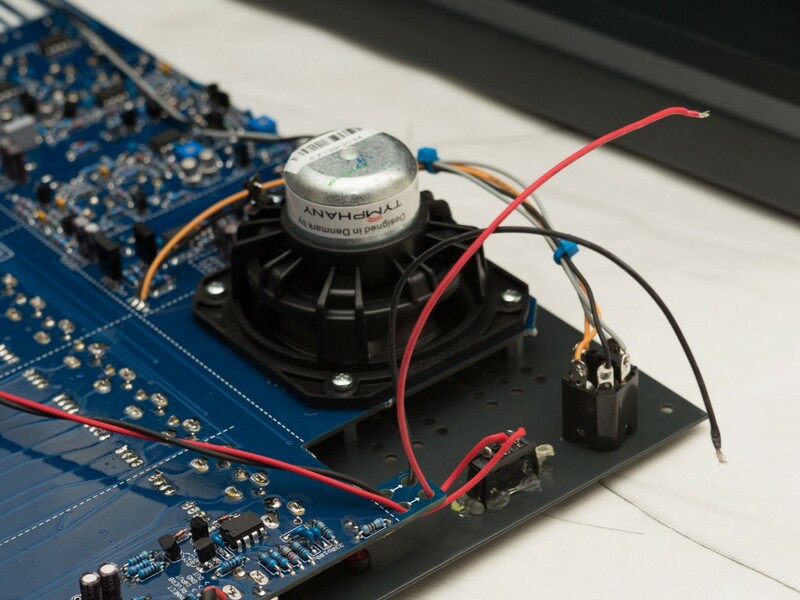 – Note: The 47k connecting to the base of the 2n3906 (Via D2) located at the rate slider should be lifted on the end not going to the base of the transistor. And instead jumper directly to the anode of CR47. (Thanks Luca). This will cause the transistor to turn fully off when blinking. There’s circuitry underneath the brightness trimmer that shouldn’t be built. 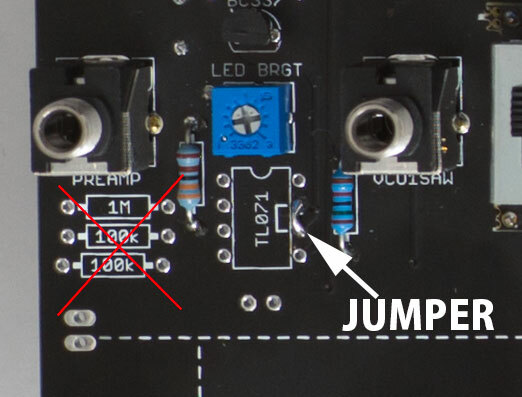 Jumper pin 6 and 7 in the op-amp, also jumper all pads marked JMP on the topside of the board. Once done with this will install the slide switches. 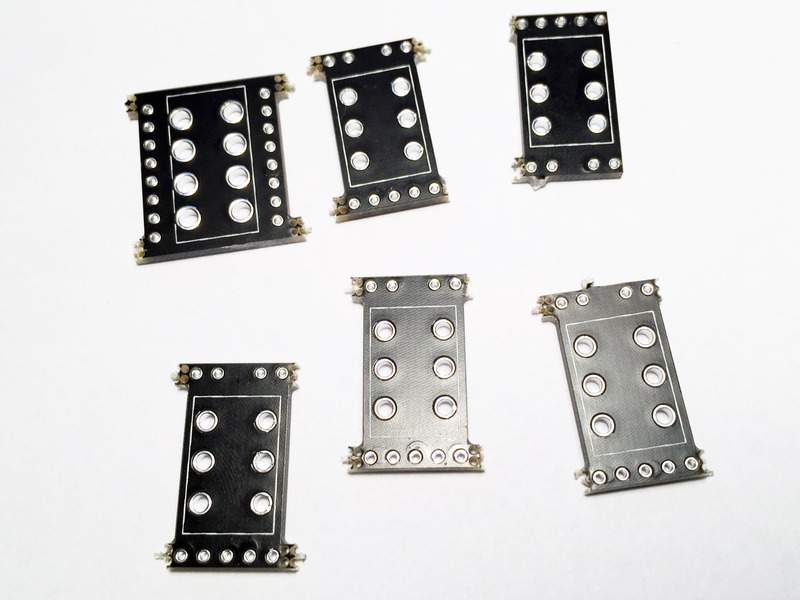 These has to be mounted on the small daughter boards that we removed from the big PCB when we started building. As you can see the 2 pole switches have 5 holes on one side and 4 in the other. So they have to be oriented correctly on the board! These are easiest mounted with old resistors legs. Do it kitty corner again and apply pressure, to get it flush against the board. After the switches do the sliders and then the jacks. 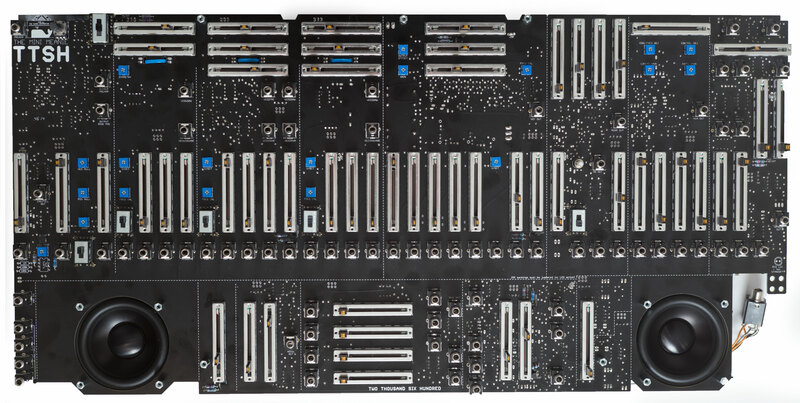 With all this done you can power up the synth and hopefully you should have LED action and be able to play with it for the first time. Fun fun! When you mount the panel on the PCB be careful not to over tighten the nuts on the jacks. There are traces underneath some jacks, over tightening the nut makes the jack dig into the board and shorting the trace to ground. 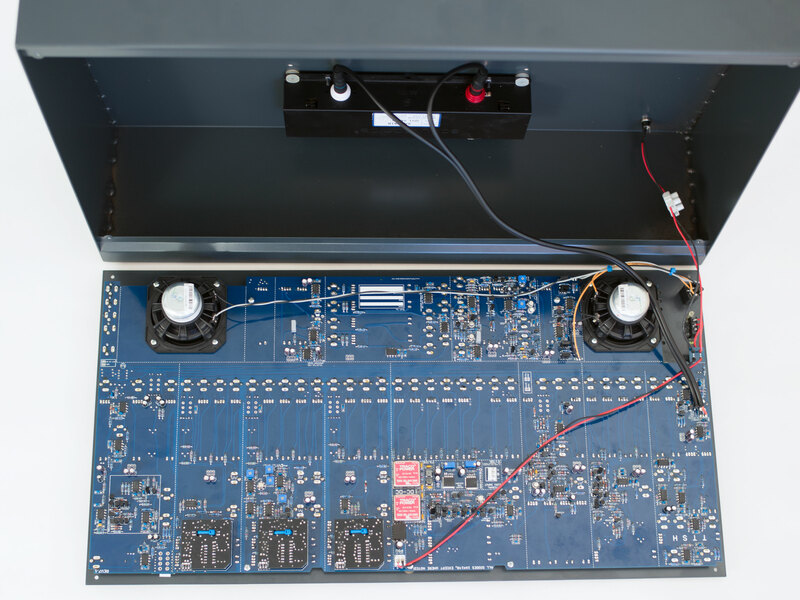 Speakers and spring reverb wiring. So with the stuff above out of the way it’s time to wire up the speakers and spring reverb. The previous instructions were wrong! The wiring should be done so it first goes to the speaker and then to the headphones jack! Rewire your TTSH if you’ve done it the old (wrong) way. Mount the speakers in the designed holes, it might be a good idea to temporarily attach the front panel to get the right distance for the headphones jack. (It’s about 15cm of wire if you’d like to keep the panel off for the time being). The wiring is done so that it first goest to the speaker and then to the jack. So if you insert a plug into the jack it’ll break the connection to the speakers. 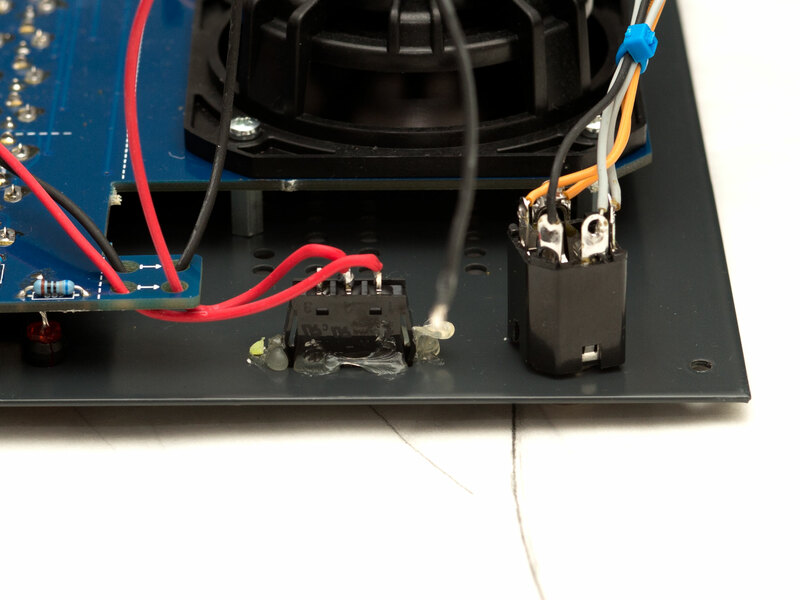 L goes to tip, R goes to ring and GND goes to sleeve..
Power it up and check for speaker tone. BE CAREFUL WHEN USING THE HEADPHONES! At maximum volume you could easily damage your ears! 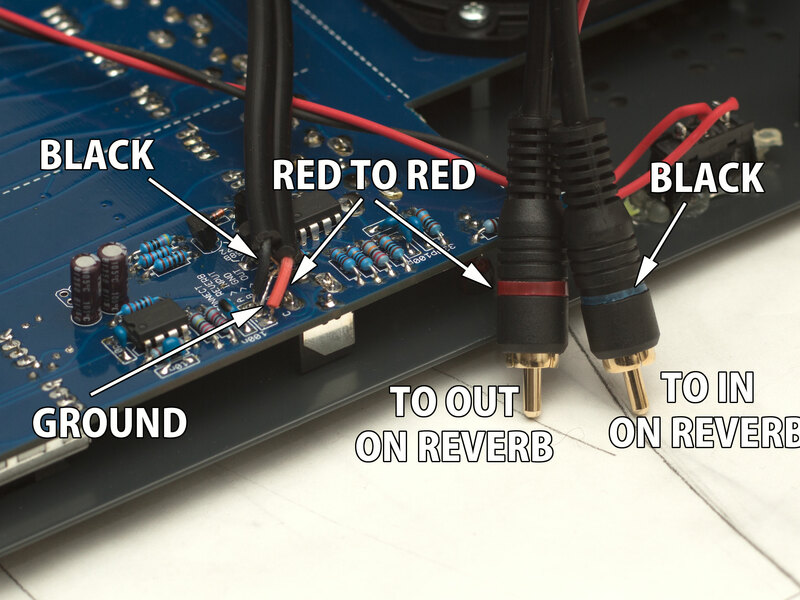 The reverb needs RCA connectors – and I prefer to hardwire them to the board. Check which color your jack is (red input, white output, or some other color…?) and orient the cable accordingly. A goes to the input of the reverb and C to the output. 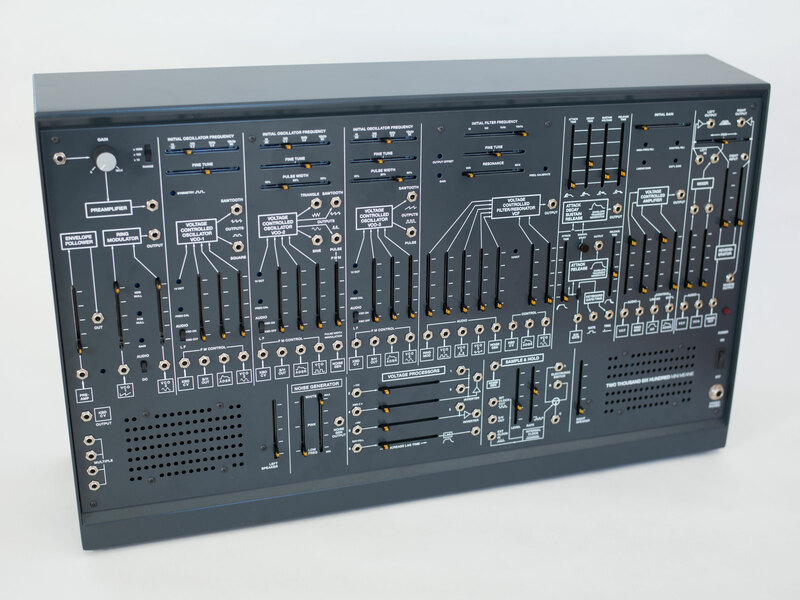 Depending on which reverb you have you might have to run ground to both input and output, if not then you should only have ground connected to the output of the tank. “How do I know..?” get your DVM set it to continuity and measure between the sleeves of the RCA connectors on the tank – If you get a BEEEP then it’s only ground to the output. If it’s silent then you need to ground the input jack as well. If you’re trying this without the tank in some sort of container (I.e. a case/box) you might get a massive amount of hum. So if you got a box it’s wise to install the tank inside first. Start with gluing the power switch to the panel. Then wire it to MTA connector in the PSU section of the board. There’s nifty holes for you to attach the cables in, so you get a neat wiring. If you got a box, mount the plug in the back and solder wires to it. I prefer center positive, ground sleeve, but you can do it anyway you want. So with all this out of the way you should have a complete TTSH laying infront of your box all wired up and ready to go. Put the box on it’s back, place the panel in it carefully. Add the 4 screws but do not tighten them! Once all 4 are in you can start tightening, but be careful and don’t use too much pressure. Hook it up to the adapter and power up, fingers crossed. heart pounding and excitement bubbling..! It’s time to make some R2D2 bleeps and bloops!